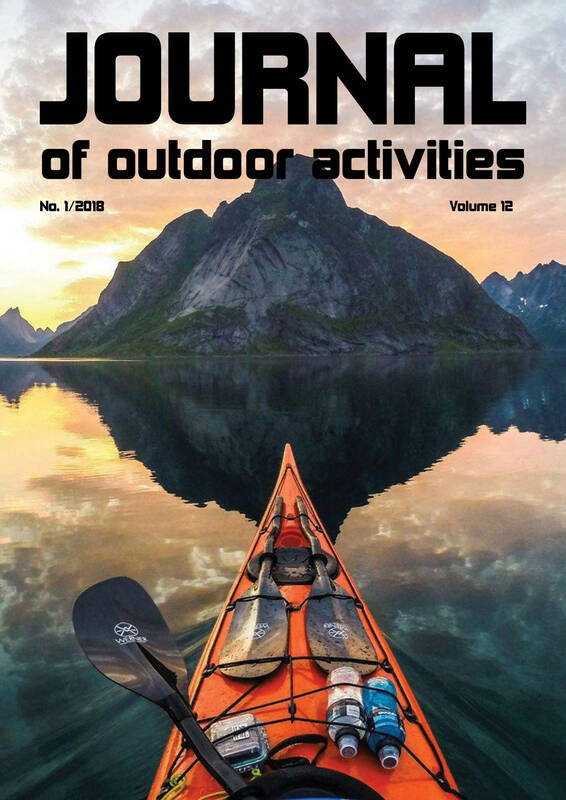 Journal of Outdoor Activities is a scientific journal dealing with issues of all areas of outdoor activities not only from the point of view of kinanthropology but also from the perspective of related fields. The journal is published in English. Abstracts of individual contributions are also available in Czech. The editorial board accepts contributions in Czech and English corresponding to the professional profile of the journal. All received papers are peer-reviewed while maintaining anonymous two-sided approach. The author is informed about the results of the review process and the editorial opinion of the editor. Before the final submission to the press, the author will be sent a copy of the work for the author’s correction, which must be sent back to the editorial office within five working days. Articles are freely available to the public. Legal responsibility will not be accepted by authors, editors, and publisher for mistakes, errors or omissions that may occur in this publication. Editors or publisher cannot be held responsible for any statements and opinions contained in the articles of Journal of Outdoor Activities, because they are only presented by the individual authors.